Originally published in The Smithfield Times, July, 2016. Chelveston Airfield, England. October 14, 1943. The briefing officer stood before a large curtain which concealed a map of Europe, and did his best to instill the importance of the day’s mission. Seven days earlier the 8th Air Force had begun putting forth a “maximum effort” to destroy German industry, and this mission was considered crucial to the overall plan. When he’d finished, he revealed the target – Schweinfurt! A collective groan rolled through the room, for Schweinfurt was deep in Germany, and had been bombed two months earlier with heavy allied losses. Despite those losses, the men were told, it had to be hit again. Long after the war, historians would refer to this day as “Black Thursday”; the bloodiest air battle of WWII. One airman flying that day was Sergeant Leonard Roy Henlin of Smithfield, a left waist gunner on a B-17 Flying Fortress attached to the 305th Bomb Group, 364th Squadron. He was a member of Lieutenant Dennis McDarby’s crew which had only recently arrived from the United States, but had already flown four missions. At 32-years-old, Henlin was an “old man” compared to his peach-fuzzed crewmates. Prior to entering the service in September of 1942, he’d worked as a spinner at the Esmond Mills, and played sports with the “Greenville Townies”. After briefing, the men were ordered to their planes. Lt. McDarby and his co-pilot, Lt. Donald P. Breeden, took their places at the controls, while Lieutenants William J. Martin, and Harvey A. Manley, climbed into the Plexi-glass nose as Navigator and Bombardier. Sgt. 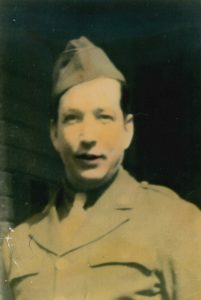 Arthur E. Linrud was the top-turret gunner, Sgt. Dominic C. Lepore, tail gunner, and Sergeants Henlin, and Robert G. Wells, left and right waist gunners. The unenviable position of ball-turret gunner was assigned to Sgt. Benjamin F. Roberts, who would fly suspended beneath the aircraft over the battle zone. Staff Sergeant Hosea F. Crawford sat at the radio operator’s position. 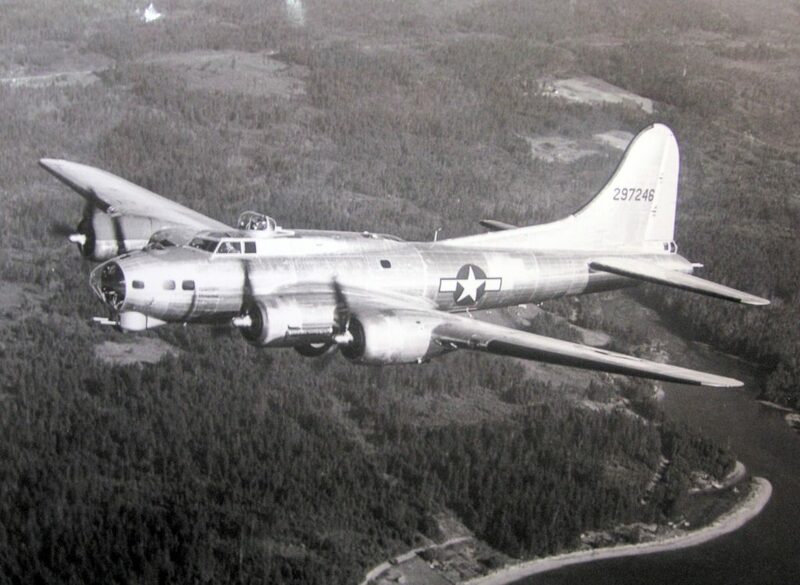 In 1943, the B-17 Flying Fortress (heavy bomber) was the workhorse of the 8th Air Force, capable of taking massive amounts of punishment and still return home. Its name was derived from the ten to twelve .50 caliber machine guns that bristled from the fuselage. Sgt. Henlin’s aircraft was one of sixteen from the 305th Bomb Group taking part in the Schweinfurt raid, and once airborne they would become part of a massive air armada consisting of 291 U.S. bombers from bases all across England. The events which subsequently took place aboard Sgt. Henlin’s bomber from this point forward are known thanks to an article written by Scott Nelson, titled, “305th BG, Schweinfurt – New For Veterans Day”. Nelson interviewed Sgt. Arthur Linrud, the top-turret gunner on this mission. (www.scottnelsonart.com) Other information came from the U.S. Army Missing Air Crew Report provided by Peter den Tek of Holland, who is working to establish memorials to fallen allied airmen of WWII. Due to thick clouds and bad weather, the 305th missed their appointed rendezvous with the 92nd and 306th Bomb Groups, so they were forced to join the 351st and 381st groups instead. This put the 305th in the “tail-end Charlie” position, which meant that when they reached Schweinfurt most of the anti-aircraft fire would be focused on them. Unfortunately the airmen had more immediate problems, for a fierce running air battle with the German air force erupted as soon as they reached the French coast. Then the fighters retreated and flack batteries opened up on the formations. Soon the sky was filled with puffs of black smoke as shell after shell exploded across the sky. When the flack stopped the fighters returned, and the shooting began again. An engine on Henlin’s B-17 was hit and set ablaze. With the loss of power, the plane fell away from formation as the pilot struggled with the helm. The protection of the formation’s combined firepower was crucial to their survival, and now it was gone. Their burning warbird was now a wounded straggler, and enemy fighters began circling like sharks sensing blood. It was then the signal to bail out was given. Henlin was at his gun fending off attacks while right-waist gunner Robert Wells helped Sgt. Roberts out of the ball-turret and into his parachute. Had he not done so, Roberts would have been trapped aboard the doomed aircraft. At that moment a German fighter swooped in and strafed the cabin with machinegun fire killing Wells and Henlin, and possibly Lt. Breeden, the co-pilot, who was last seen dead at the controls. Then the plane started to buckle as the burning wing began to collapse, and Sgt. Roberts dove through the waist gun window. Lieutenants Manley and Martin were in the nose when the wing buckled and were unable to escape. The rest of the crew parachuted to safety, but were quickly captured and spent the remainder of the war as POWs. Much has been written about “Black Thursday”, and this story is but a small fragment of a much larger event. Although many bombs fell on Schweinfurt that day, the effectiveness of the raid versus the heavy losses is still debated by historians who have the luxury of 20/20 hindsight. The facts are these: 650 Americans lost their lives, and many others were wounded or taken prisoner. Of the 291 planes sent on the mission, 60 were lost during the battle. Of those that returned, 121 had various degrees of battle damage, some of which would never fly again. Sgt. Henlin’s group suffered terribly. Of the sixteen B-17s of the 305th Bomb Group that participated, only two returned. Sgt Henlin’s B-17 (#42-3436) crashed in Eygelshonen, Holland, near the Belgium boarder. He’s buried in Netherlands American Cemetery in Margraten, Limburg, Holland.